Many have a misconception about the meanings of joint and sole custody. 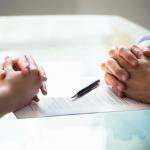 Our St. Louis divorce lawyers can help you understand the difference. Going through a divorce can be a complicated process. When children are involved it can be even more so. There is often a misconception about the meanings of joint and sole custody. As your personal brigade fighting to obtain support for your child, The Betz Law Firm will make sure that you understand all of the guidelines set out by the state of Missouri and how they are going to affect your family. 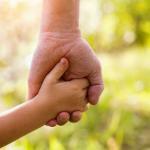 There are different types of joint custody. The divorce decree will indicate with whom the couple’s children will live. In some cases the parents will work out the details themselves, either voluntarily or with the help of their lawyer or mediator. However, when parents are not able to agree on issues, it may be necessary for the court to intervene and make a decision that’s best for the child or children. In a true joint custody arrangement, the parents share equal legal and physical custody rights. This means they have an equal say in making decisions for the child, including welfare, upbringing, and living arrangements. However, true joint custody arrangements tend to be rare because of their potential to cause problems among the parents. This type of arrangement is often not practical. A more common scenario is joint legal custody. With this arrangement, parents agree on making decisions that affect the child’s welfare and upbringing, but the physical custody is awarded to one specific parent. During a divorce, a court judge will be the one who determines which parent will provide daily care for the child. 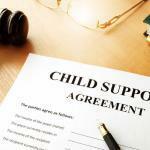 In most cases, the child will live with the parent that has physical custody. With sole custody, exclusive physical and legal rights are granted to only one parent. This may happen in cases of domestic violence or child abuse. The other parent has no right no make decisions for the child but may have visitation rights. In matters pertaining to family law, our firm understands that resolving issues through mediation and negotiation will yield better results for both parties. Feel free to contact our law firm to discuss your case today by calling (314) 801-8488 or by filling out our online contact form.